My maternal grandparents, Jean and Lou Kaplan, did not keep kosher. That was their ancestors’ way, the path of slavish adherence to the stringencies of Jewish law. But old habits die hard, and they never ate the foods they had not consumed as children. They would sooner have taken off all their clothes and danced naked in front of their neighbors in Flushing, Queens, than down ham, clams, or even a cheeseburger. So when we went out to eat with my grandparents, we invariably gravitated to a Jewish deli. It was the deli, of all places, where they seemed most at home, where my grandmother could wrap her mouth around a tongue sandwich, and my grandfather slurp up his mushroom barley soup, before proceeding, with renewed gusto, to sweet-and-sour stuffed cabbage. My younger sister and I, far more Americanized, preferred open-faced roast beef sandwiches, blanketed with bland brown gravy. 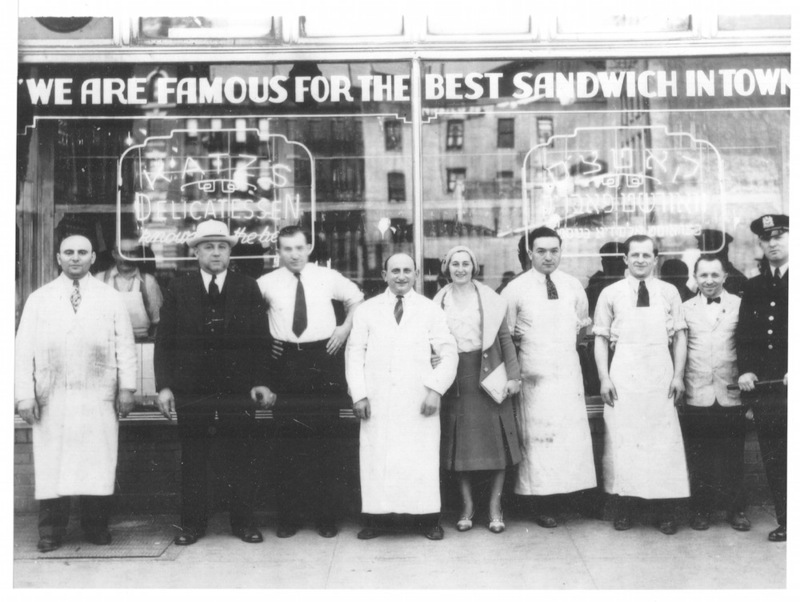 In interwar New York delis, comedian Harpo Marx exulted, he found “my people, speaking my language, with my accent.” The deli was a place for New York Jews to articulate a newfound but potent sense of secular, rather than religious, Jewish identity. What their immigrant parents had experienced in the musty precincts of the synagogue they found by fressing salty, spicy, smoky flesh on crusty rye bread. No matter that their half-starved, persecuted ancestors had almost never eaten pastrami and corned beef—these lower-middle-class children of immigrants “learned to think of them as traditional,” as historian Hasia Diner puts it, retroactively endowing the deli sandwich with a Jewish pedigree. In inaugurating the deli, New York Jews created a noisy, crude establishment that turned this original notion of a restaurant on its head. While it had roots in the take-out gourmet shops of Paris, Rome, and Frankfurt, the deli mutated in New York into a venue for eating out, and a remarkably laid-back one at that. The deli was a place where Jews could disregard the perceptions of the majority society and let it all hang out, like the sausages dangling enticingly in the plate glass window. They could dress down, joke, and talk loud (including with patrons at neighboring tables) and eat with their hands, in a casual and convivial atmosphere with no candles and tablecloths. They were no longer, for the most part, speaking Yiddish, but much of their boisterous style of behavior was carried over from Eastern European Jewish culture, characterized by flights of impassioned, free-wheeling argument and debate. 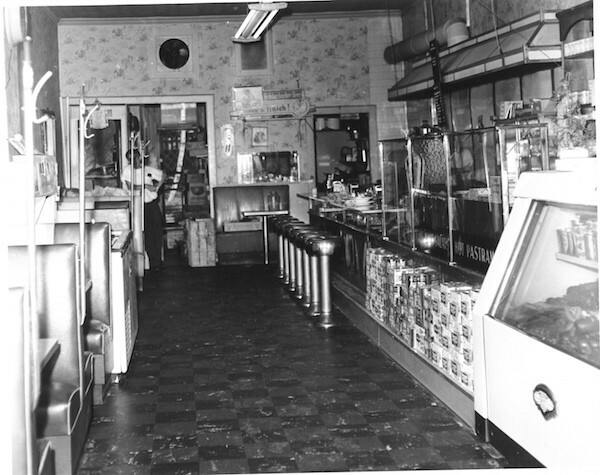 Indeed, if, for the German-Jewish sociologist Norbert Elias, becoming “civilized” in Western society meant learning to repress one’s bodily functions, then the deli was a place to flout the standards of polite behavior in a safe space that was largely, if not exclusively, populated by other Jews. Other ethnic groups had their own particular, similarly indispensable gathering places: Irish pubs, Italian social clubs, and black barbershops (or beauty parlors). But the Jewish deli was different in two senses: It was oriented around bodily pleasure, and it was dedicated to an extravagant form of visual display. (Little wonder that the most notorious deli scene in pop culture, from Rob Reiner’s 1989 rom com, When Harry Met Sally, involves a histrionic exhibition of a normally very private moment of pleasure.) Particularly in the glitzy, glamorous kosher-style delis in and around Times Square, Jews—mostly male—showed off to each other how much meat they could commandeer and eat. Served in an entertaining fashion by sneering, wise-cracking waiters (“Is anything OK?” they demanded, sarcastically), who were frequently failed performers on the vaudeville, Yiddish, or Broadway stage, the overstuffed sandwich—one of the first types of fast food in the metropolis—was elevated into a towering, skyscraper sign of affluence, a multi-layered symbol of the American Dream. Before long, however, deli meats were demonized for having too much fat, cholesterol, and sodium to fit into the diet of upwardly mobile Jews. As they spread to the suburbs after World War II—and sought to join the country clubs that went with them—Jews reshaped their bodies according to prevailing notions of fitness and beauty, and revamped their diets to embrace more “exotic” fare like Chinese food. 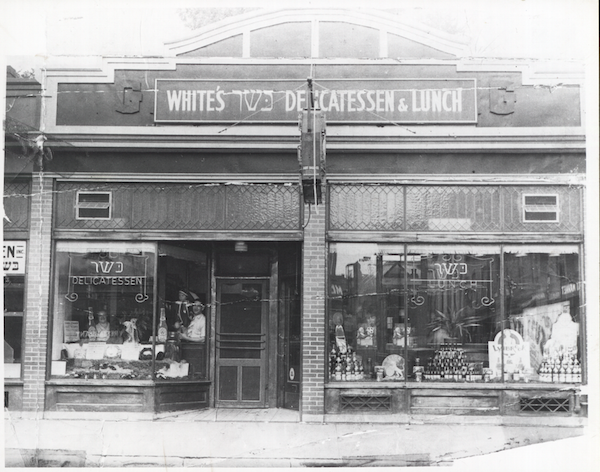 The deli inevitably lost its purchase on American Jewish identity. Furthermore, while greatly diminished in number, Jewish delis are not yet extinct, nor have they evolved. Walk into Brent’s in L.A.’s Northridge neighborhood, Manny’s on Chicago’s Jefferson Street, or Katz’s on New York’s Houston Street and you’re transported back into an era when the deli still functioned as a stark counterpoint to the rest of society, a place where courteousness and gentility were ejected in favor of relaxation and ribald humor. The irony is that few of the patrons eating in these delis are Jewish; they are Asian-American, Latino, African-American, you name it. So, rather than Jews paying tribute to a tradition that they have long ago transcended, non-Jews are—as, ironically, Jews did with Chinese food—adopting aspects of a once-vibrant ethnic heritage and incorporating it into their own unfolding experience of urban life. Indeed, a potato knish by any other pronunciation tastes as good, especially if you slather it, as my grandparents did, with thick and spicy mustard—a three-dimensional edible canvas ripe for painting and repainting however you like before stuffing it swiftly and unceremoniously down the hatch. Ted Merwin teaches religion and Judaic studies at Dickinson College in Carlisle, Pennsylvania; he also writes about theater and dance for the New York Jewish Week. 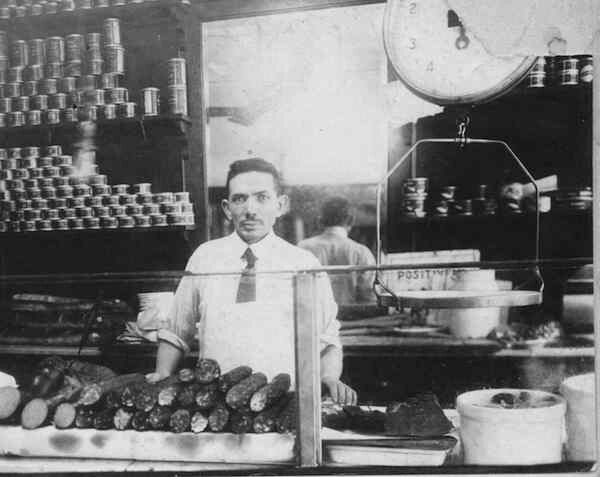 He is the author of Pastrami on Rye: An Overstuffed History of the Jewish Deli. 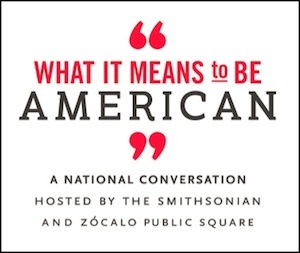 This was written for What It Means to Be American, a partnership of the Smithsonian and Zócalo Public Square, and is part of Why We Feast, a project of Zócalo Public Square. Buy the book: Skylight Books, Powell's, Amazon. Primary editor: Sarah Rothbard. Secondary editor: Jia-Rui Cook. *Lead photo courtesy of Marlene Katz Padover and Marvin Padover. Interior photos courtesy of Ted Merwin and Paul Lewis.